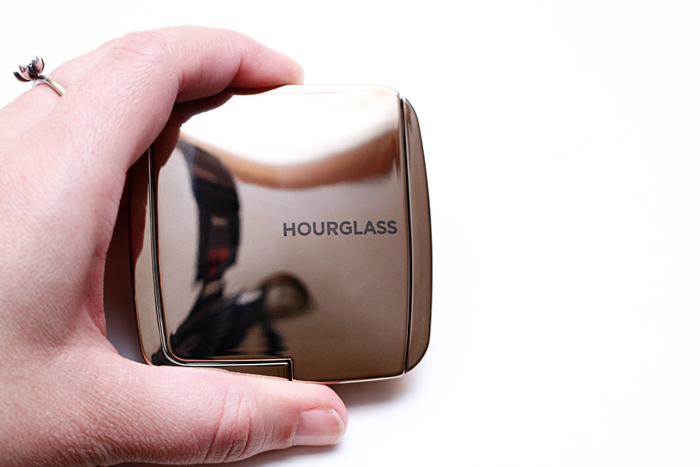 Would you believe me if I told you that I don’t own a single Hourglass item? A few items have caught my eye in the past, but I never really felt the need to splurge. Then I saw these wonderful Ambient Lighting Blushes and thought ‘Now THAT I need!’ So the moment I found out that it was available on the Sephora website I scooped it up without hesitation. And boy am I glad that I did. This blush applied beautifully! It left my cheeks with the prettiest glow! 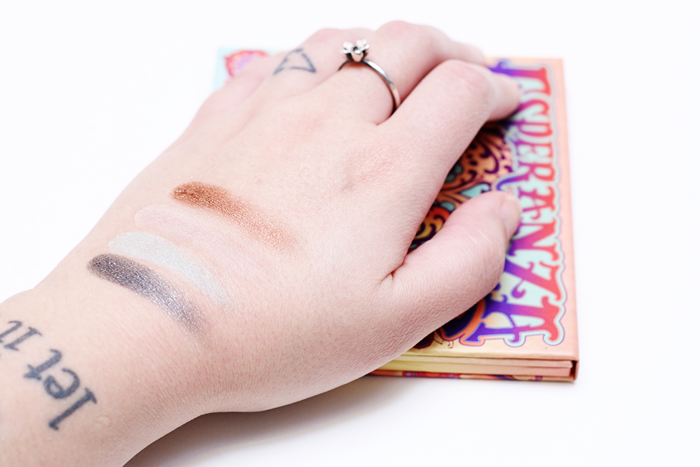 When I first swatched it on my hand I was worried about it looking too orangey on my cheeks. But once applied it didn’t look orange at all. It blended out nicely for a more subtle and natural looking peach/coral shade. I did use a fairly light hand while applying it because as I said I was afraid of it coming off as a bright orange. 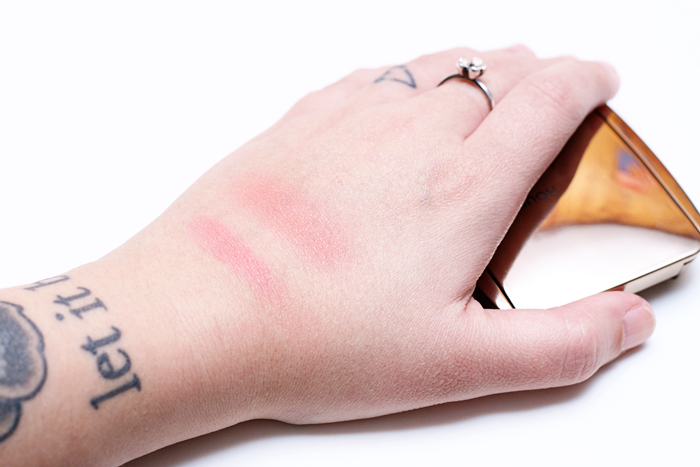 I’m just going to go ahead and say that this is my new favorite blush! There! Now it’s out there for the world to know! 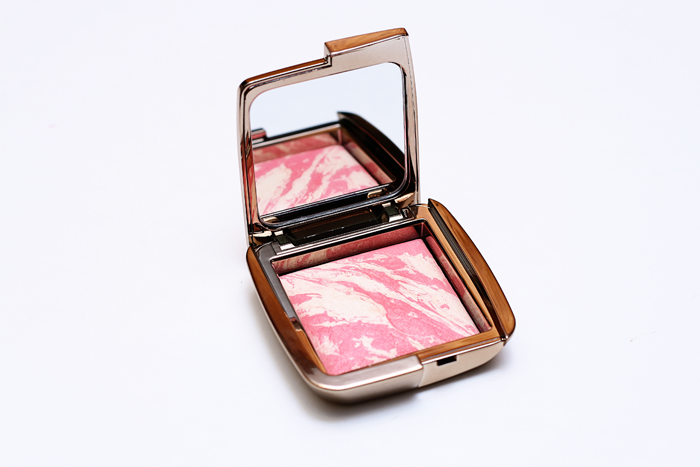 Did you grab any of the Hourglass Ambient Lighting Blushes? What are YOUR thoughts? 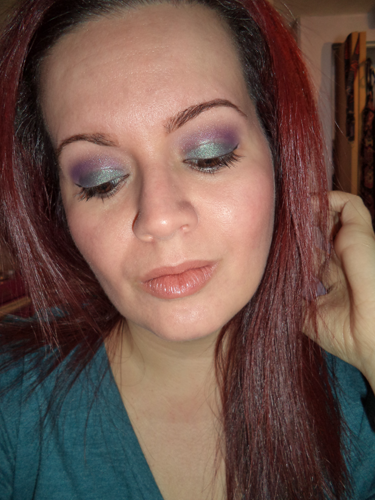 I’d really love to try a few other shades. Or maybe even just get a backup of this beauty. Are y’all sick of all the RiRi stuffs yet? Well, I’m not! I happen to love just about everything from each collection. More so the lipsticks. 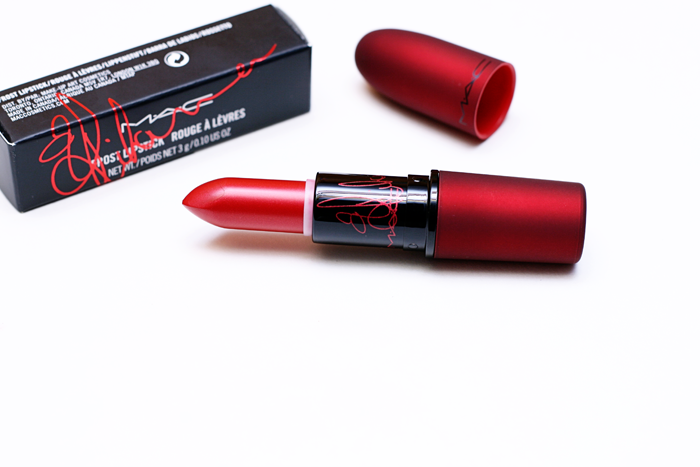 And the Viva Glam Rihanna lipstick is no exception. Out of all of the collections this one didn’t give me more gray hairs. Can’t say the same about the others. 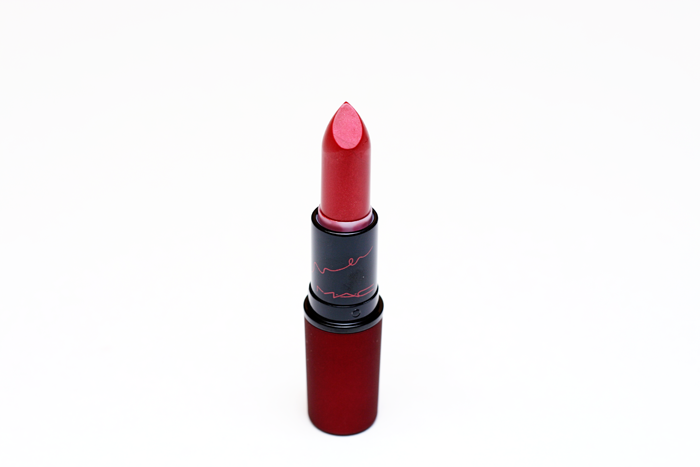 Anyway, this lipstick is a gorgeous frosty blue-red. 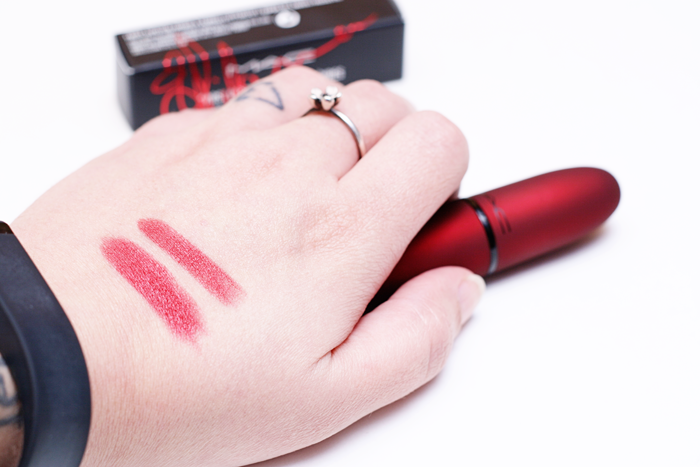 It applied smoothly and felt very comfortable on my lips. I got a good few hours out of my first application and only needed to touch up after eating/drinking. I feel like this is a more wearable red for me. In fact it’s sitting on top of my tool box because I just know it’s going to be getting a lot of use! 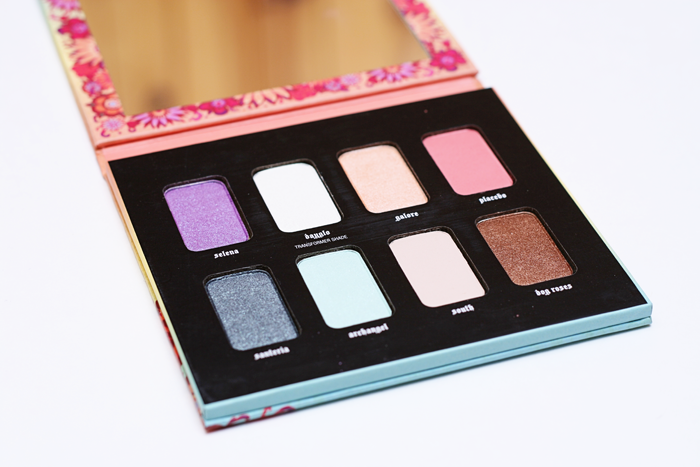 Can I just say that I love everything about this palette? Because I do! 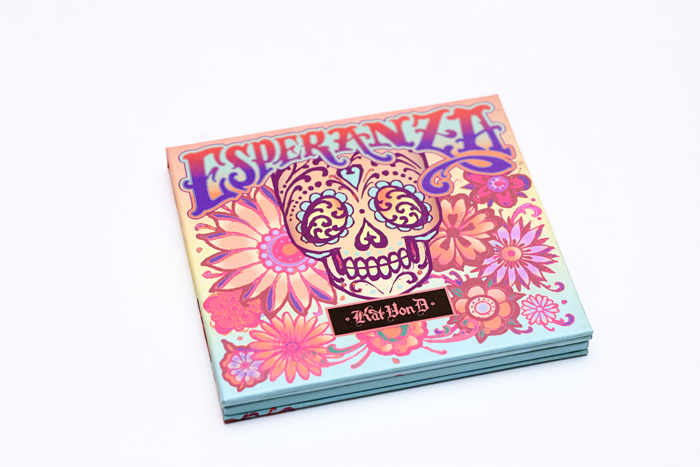 The packaging is so vibrant and absolutely beautiful! 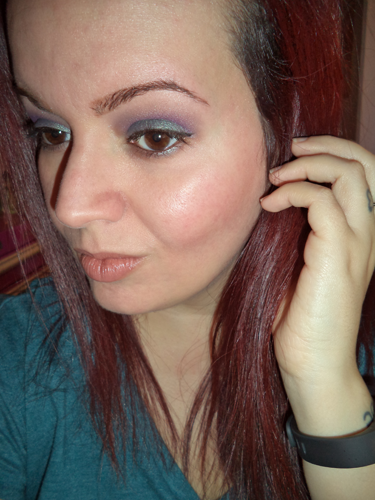 Then again it is a Kat Von D palette! 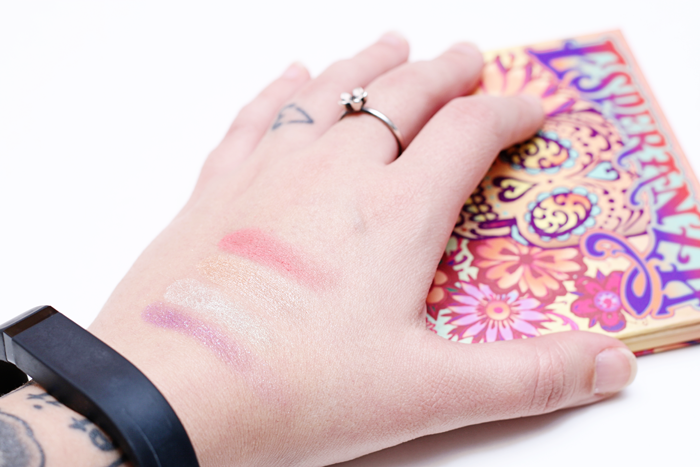 The eyeshadows are equally beautiful and scream SPRING! Even the names are great. Dayglo? Santeria? Love it! Selena is a glittery purple. Dayglo is an iridescent white and listed as a transformer shade. Galore is a pearl peach. 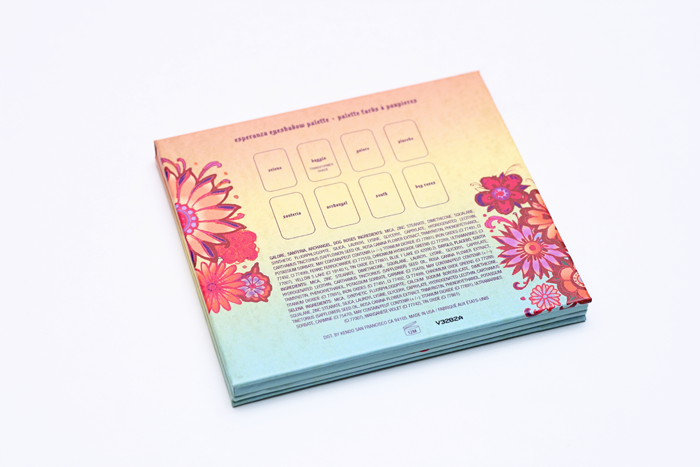 Placebo is a matte peony pink. Santeria is a glittery greenish grey. Archangel is a sparkly seafoam green. South is a matte beige. And last, but certainly not least, Dog Roses is a sparkly bronze. I did experience a little fallout from the glittery shadows, but I didn’t mind much. 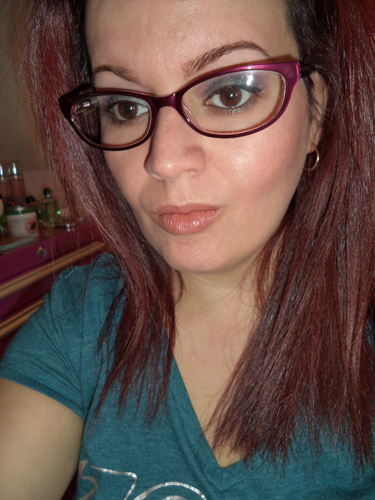 They all applied nicely and lasted all day with little to no fading or creasing. 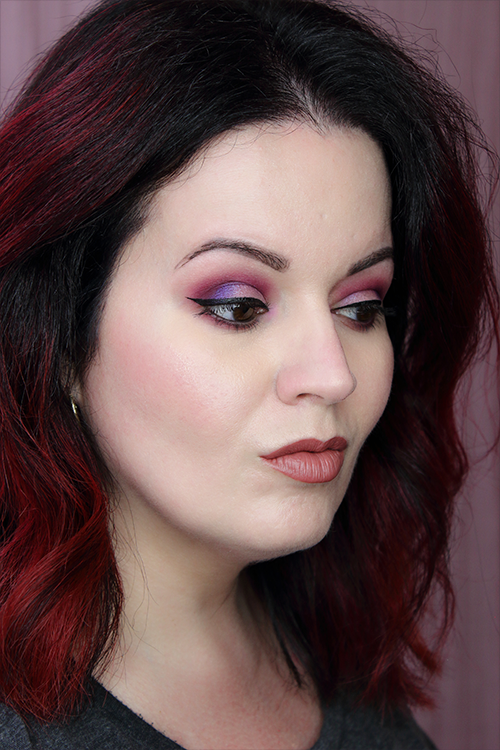 You can see a look I created with this beautiful palette below. I’m wearing Santeria on my lid with Dayglo layered on top. I’m also wearing Santeria on my lower lash line. 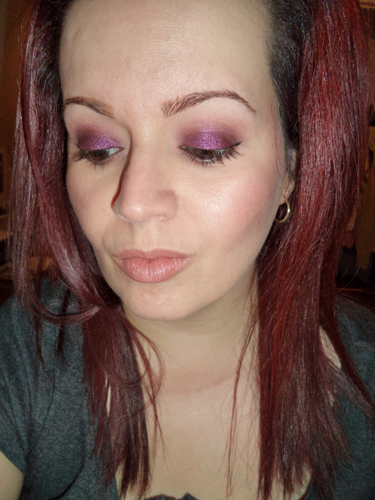 Selena in my crease, Archangel on the inner corner of my eye, and South as my highlighter.